“… “You know what my biggest nightmare is?” the officer asked, and answered at once. “That one day I arrive for one of my regular coordination meetings with Fayyad and he hands me the keys to the Palestinian Authority, shakes my hand and goes home.”What that means, explained the officer, is that the Israeli government will be forced to reimpose military rule over the West Bank, pay the salaries of the policemen, teachers, nurses, establish infrastructure and maintain order — all while the ground might be burning and there’s no chance of collecting taxes from the Palestinian population. According to estimates by Israel and foreign economists, the dismantling of the Palestinian Authority would cost Israel some NIS 14 billion per year [almost $4 billion]. That’s all Prime Minister Benjamin Netanyahu and his new finance minister, Yair Lapid, need at the moment.True, Fayyad has not handed over the keys of the Palestinian Authority to the Israelis. He handed them to President Mahmoud Abbas (Abu Mazen), who continues to withstand the pressures exerted on him to dismantle the authority and to exchange the struggle for a two-state solution with a struggle for equal rights within one state from the Mediterranean to the Jordan River. Fayyad’s departure, however, brings to the top of the agenda a question that has been floating below the surface (and constitutes the nightmare of which the officer spoke): How long will the Palestinian Authority keep acting as the subcontractor for Israeli rule, of the settlement policy and the diplomatic status quo? How long will US, European or Japanese taxpayers agree to bear the load of the “Oslo process,” launched 20 years ago and now on the road to nowhere? 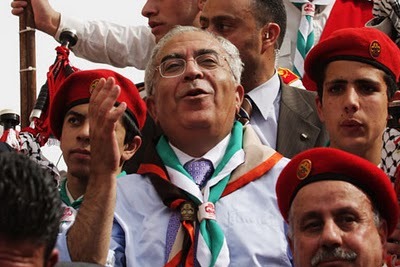 A little more than three years have passed since then, and after a dramatic UN General Assembly decision to recognize the Palestinian Authority as a non-member state, Fayyad is taking his leave of the leadership of that entity, which still carries that same strange name. “… Still, despite his impeccable integrity, Fayyad failed to gain the trust and backing of the Palestinian populace in the West Bank that he was supposedly leading. Palestinian popularity polls are consistently won by terrorists such as Marwan Barghouti, serving five life sentences in an Israeli prison for planning the murders of four Israelis and a Greek Orthodox priest, and Ismail Haniyeh, head of Hamas in Gaza. A poll taken by Dr. Khalil Shikaki’s Palestinian Center for Policy and Survey Research in December 2009, a time when Fayyad had just launched his program and optimism was high, only 13 percent of Palestinians said they wanted him as prime minister. Neither Fayyad’s personal integrity nor his PhD from the University of Texas, nor his experience at the Federal Reserve of St. Louis, the International Monetary Fund and the Arab Bank seem to impress Palestinians much. “… Most analysts explain that President Barack Obama’s visit to Israel is a make-up visit designed to repair the damage to his public standing in Israel for skipping Jerusalem on his way to Cairo in 2009. The question is this: Why does the leader of the free world need the sympathy of the Israeli public? Why is the leader of the strongest global power making such an effort to court a country with a population equal to about two percent of the US population? Who says an American president has to make a pilgrimage to Jerusalem? Since the founding of the state in 1948, no more than four presidents have visited us (Richard Nixon, Jimmy Carter, Bill Clinton and George Bush, Jr.). Having been elected to a second term, Obama obviously has no need to kiss up to Jewish voters. 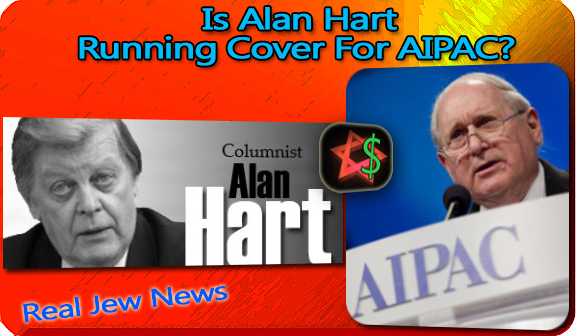 Just this year, he sent his vice president, Joe Biden, to speak at the annual convention of the pro-Israel lobby AIPAC. And there’s still more than a year and a half to go before mid-term elections for both houses of Congress. They say that Obama is taking the trouble to come here in order to coordinate policy regarding Iran’s nuclear program with Prime Minister Benjamin Netanyahu. In fact, when Obama decided to visit Israel, it wasn’t even known whether Bibi (Netanyahu) would manage to put together a government. When the two sit side by side, no one will know which way the wind is blowing on the Iranian issue in the new security cabinet. To top it all, when the US president wants to discuss some issue with the head of a foreign nation, he does not order Air Force One to be fueled and drag himself to the other end of the world. He has bigger worries at home than being liked by the Israeli public. He could have conducted the discussion on Iran with Netanyahu at the White House. Bibi has never turned down an invitation to pose for a photo in the Oval Office. So why is Obama bothering to come to Jerusalem, Ramallah and Amman, at a time when the American and international economies need his attention so badly? No, it’s not Middle Eastern oil, which for many generations has been flowing through the arteries of American leaders; the dependence of US industry on the oil wells of the Gulf States is declining with each passing year. The 2009 Nobel Peace Prize laureate does obviously not want the third intifada, signs of which are emerging on the ground, to be named after him. Unlike Netanyahu, who refuses to see any link between the Iranian problem and the Palestinian problem, Washington, Brussels, London, Berlin and Paris understand full well the relationship of an attack by the Jewish state on Iran with an attack by the Jewish state on Arab citizens. The Iranians have for years been inciting the Arab street against Israel. When the Al-Jazeera network airs pictures of Israelis attacking an Islamic state next to reports describing Jewish soldiers storming Palestinian neighborhoods, young Muslims around the world set fire to US flags alongside Israeli flags. Obama has no desire for this failure to bear his name. 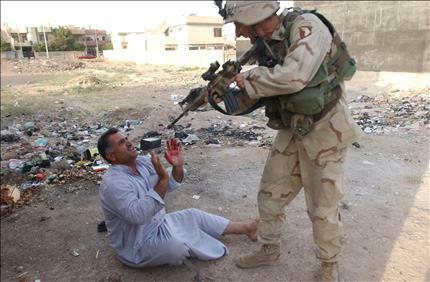 Twenty-two years ago, then-president Bush, Sr. identified an opportunity to enlist the international coalition that had been mobilized by the United States to act against the aggressive Muslim regime of Saddam Hussein in Iraq. The Madrid Conference, convened in 1991 with the participation of an Israeli delegation headed by then-prime minister Yitzhak Shamir and then-deputy foreign minister Benjamin Netanyahu, led to the Oslo Accord. Ten years later, Bush, Jr. identified the potential hidden in Saudi Arabia’s frantic reaction to the Sept. 11, 2001 terror attacks and encouraged the states of the Arab League to support the peace initiative that was born in Riyadh. The boycott movement draws its anti Zionist dimension from recognizing the right of the colonized to fight the colonizer. In year 2005 , 172 Palestinian organizations called for a generalized boycott of Israel in terms of protests against the colonialist and racist policy of the Zionist state. … The Palestinian organizations appealed for the International Solidarity Movement to support this call within the frame of a BDS campaign. This mobilization came as a response to the Apartheid and to the Israeli occupation and colonization and as a non violent available means to stop the crazy terrorist race of the Israeli state that is threatening to the Palestinians and to all. The boycott of Israel , like that in South Africa , will permit thus to end the Apartheid policy . We will not discuss here the usefulness of such a boycott, but we will discuss the use made of this boycott campaign by a group of foreign parties and unions and associations that claim to be pro Palestinian. These groups, and after endorsing the Oslo agreement, and condemning the military acts of the Palestinian resistance, have sided with the policy of negotiations and its twin , the right of Israel to exist. These organizations that answered the call of BDS have also overlooked the historic and fundamental right of return of the six millions Palestinian refugees to their homeland , and have also kept silent regarding the criminal policy of Judaisation practiced against the Palestinians in the occupied territories of 1948. Whereas it is clear that the peace process , initiated in Oslo, in year 1993, was but a diverting maneuver to do away with the Palestinian uprising that had started in 1987 and resume the process of colonization counting on the Palestinian oligarchy monitoring a security apparel , another historic reality imposed itself in the impossibility of a two state solution . The colonial expansion of Israel , the repression , and the ethnic cleansing carried on by the Jewish colonial forces and by the collaborators of the Palestinian authority proves the structural impossibility of the two states solution. History proves, once again, that – in a colonial given context – and contrary to the stands taken by the pro-Palestinian organizations, peaceful existence between a colonial system and colonized people seems impossible . On the other hand, the growth and consolidation of the anti Zionist resistance manifest in the Lebanese Resistance victory over Israel in years 2000 and 2006 and in the legislative victory of Hamas in the 2006 elections and its victory over the Israelis in Gaza in year 2009 , should have lead these organizations to the conclusion that , the balance of power that determines the relation between Palestinians and Israelis is of colonial nature. It is founded- on one hand- on the racist negation and expulsion of the Palestinians by the colonial Jews, and – on the other hand- on the development of the anti colonial Palestinian Resistance. These organizations have proved a great continuity in their analysis , but have overlooked two fundamental principles that are supportive of the Palestinian struggle in order to retrieve Palestinians’ national rights. The first is recognizing the colonial and racist character of the Israeli society and the Israeli state and that colonization did not start in 1967 and not even in 1948 when Israel was created, but is inherent to the Zionist project since it started at the end of the 19th century . The second is, the unconditional support to the Palestinian Resistance , whatever is the form of such Resistance, whether political , social , cultural or military . I would add the whole region, may be the whole world is at a turning point. From the Syrian womb, a new middle east and a new multipole is emerging. The question is wheather there is a place for Palestine in middle east map?. They say, a picture is worth a thousand words. The picture below posted by brother Daniel worth a million words. I have posted the same picture in many posts. The last was few days ago while comparing the the ‘democracy’ in Moroco and the ‘dictatorship’ in Syria. My problem with the picture is not kissing hands. The problem is why Haniya is kissing the filty hand of Qaradawi? Here is a picture for Seyyed Nasrallah, taken after the Iiberation of south Lebanon, kissing the hand of Khamenei, expressing his loyality and grtitude for the Iranian great support that made the liberation possible. This picture worth bilion words, a milestone, the end of the era of defeats, and the beginning of the era of victories. In April 2001, the supreme leader of the Iranian revolution opened the conference “in Support of the Palestinian Second Intifada”, he noted that “Israel” left lebanon last year because the Lebanese Hezbollah backed by Iran refused to compromise, and that the Palestinians will not accept compromises or bargains anymore. After the Imam Khamenei’s speech, Sayyed Hassan Nasrallah went towards the Supreme Leader and kissed his hand. When asked about why he did that in a formal meeting, he said. 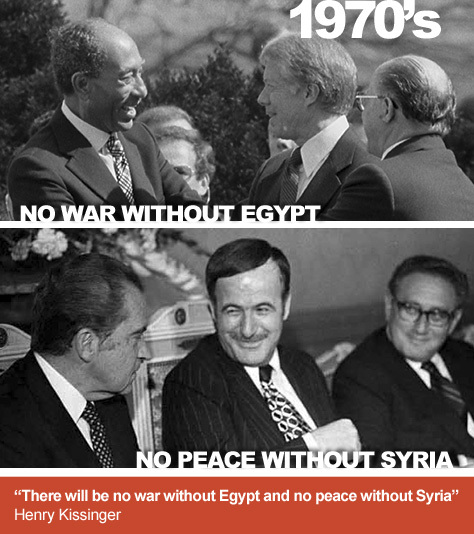 When we talk about the liberation of South Lebanon, we have to remember Syria and Iran. For Syria south Lebanon is an Occupied Syrian land and for Iran its an occupied Islamic Land, it is JABAL AAMIL the Shia historic Custodial, since Abu Tharr al-Ghfari, and, I guess the birth place of Sheykh Lotfollah who introduced Shiism into Iran. In Lebanon, Lebanon’s patriotism, both Arab and Syrian Nationalism, Communism, failed to achieve anything because Palestine was not the focal point. After the Islamic revolution in Iran, Lebanon’s patriotism, Arab-Syrian Nationalism, and Islamic Iran worked in Hanrmony, and that Harmony made the liberation possible. And to be fair, not to forget, many of Hezbollah freedom fighters including the Great leader Martyr Imad Mughniyeh were trained by Fateh, they fought with Palestinian left weapons and built on the Palestinian experience. From 1948 upto 1967 the Arab armies especially in Lebanon and Jordan were protectors of Israel‘s borders. In 1955, Palestianian refugee living in border zone were deported to north Litani, to stop few Palestinian cells working with Syrian and Egyptian inteligence. My father was leading one Egyption cell, Our neighbour Abu Kayed was leading the Syrian cell. In 1958, the peak of Arab Nationalism movement, Fateh was founded to close ( not to re-open) the Palestinian file as Alan Hart claimed. The armed struggle against Israel, and the Petro-dollar were Fateh tools to pull the rug from under the feet of the Arab Nationalist Movement. With 1967 Naksa Arafat achieved his first goal and and started working for the second (closing the Palestinian file). Hani Al-Hassan declared in London that Arafat started in 1968 (Actually 1958) the mission of preparing Palestinians to accept “peace” with zionist entity. HOW?? By the so-called Palestinian independant decision, ignoring that Palestine is south Syria, thus putting the Palestinian “independant” decision in the Saudis hands, especially after forming OIC in 1969. This phase was crowned with the Israeli invasion and the shamful withdrawal from southern Lebanon to Beirut and the into exile udrer the slogan “O’ we are alone”. Palestinians were not alone, they were there with the Lebanese national movement, and the Syrian Army. Instead of returning to Damascus, Arafat went to Tunis for the resumption of his contacts with Peres via Alan Hart, until he was called to end the first INTIFADAH (Oslo). The PLO-IRAN honey moon was too short and reached its end when tried to please the Americans in the hostages crisis. Palestinians paid heavily for that due to the topographical, and geopolitical facts. Gaza was a significant burden on Israel to the extent that Rabin wished he would wakes up and finds that the sea had swallowed Gaza. Gaza has been able to withstand the brutal siege and invasion, thanks to the blood of Martyrs and the support of Hezbollah, Syria and Iran. Finally, you should not lose hope. I would say the conspiracy against the resistance camp will not pass and will not see the light of day, the failure of the global war on Syria will change the balance of power and the alignment in favor of the option of resistance. The real Arab spring has just started in both Egypt and Tunis and will not stop. Thanks for the great steadfastness of the Syrian people and its leadership. Earlier this month, Israel in an unprecedented move boycotted the UN Human Rights Council because a year – long investigation by the council produced a report urging that “Israel must, in compliance with article 49 of the Fourth Geneva Convention, cease all settlement activities without preconditions. It must immediately initiate a process of withdrawal of all settlers from the OPT (occupied Palestinian territories).” The report stated that about 250 settlements were established in the Israeli –occupied Palestinian West Bank where 520,000 settlers live now, which the report said could be subject to prosecution as possible war crimes. “It’s plain and simple: Either the settlements or peace … even Obama won’t get us abandon this principle,” PLO chief negotiator Saeb Erekat was quoted as saying on February 14. Should Obama decide to act accordingly, he may reinforce the “unbreakable alliance” with Israel to his convenience, from a Palestinian perspective. Otherwise, any initiative by Obama to resume the Palestinian – Israeli peace talks during his upcoming visit to the region will be doomed as a non – starter. “ Ending its occupation and colonization of all Arab lands and dismantling the Wall”. BDS did this change without consulting its endorsers or conferring with its stirring committee which is the BNC or the Boycott Divest and Sanction National Committee. Some Palestinian Organizations were shocked and are considering the possibility of withdrawing from BDS like al Awda organization . The objection raised by some pro Palestinian activists is in its right place when they say that if Israel still exists on 1948 occupied land then to where the millions of refugees shall return ? They cannot return to their own towns and villages for sure. This major shift in the BDS policy might be due to the fact that BDS is getting funds from George Soros institutes since Soros believes in the right of Israel to exist , or that BDS is collaborating with Israeli authorities . It is noticeable that BDS refuses to reveal the list of its financers and make public the list of its major financers as transparency requires . The conclusion about this whole mess is that these organizations like BDS are shady and not only they lack transparency regarding their financing, but they lack transparency regarding their whole position and this goes back to earlier than the recent wording of the first amendment that recognizes the right of Israel to exist within 1948 borders . Because refusing to take a clear political position regarding the issue of Palestine -on behalf of Palestinians like BDS- while at the same time calling for basic Palestinian rights – like the right to return– is in itself suspicious. This lack of clear stand and this debate over the Palestinian issue sifting between the one state ( Palestinian or Israeli) and the two states ( Palestinian and Israeli ) solution is the matrix where the recognition of Israel has started taking shape to become later a known fact . The recognition of Israel was probably at the origin of all this wavering and fluctuating and debating waiting for the proper time to become known. This apparent shift in BDS stand coincides with the latest positions of HAMAS whereby Khaled Mash’al – for the first time -has recognized the 1948 borders of Israel . The BDS no doubt has the same sectarian agenda as HAMAS which is implementing the sectarian policy promoted by the world order through Muslim Brotherhood. It is high time to bid farewell to BDS and give room to a genuine transparent solidarity movement . The BDS has hijacked this movement for too long . the Palestinian Cause is an authentic cause that deserves an authentic transparent solidarity movement. 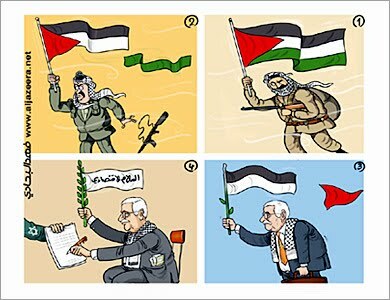 By: Adnan Abu Amer for Al-Monitor Palestine Pulse. Posted on February 8. Recently, a lot has been said — and a lot of denials have been issued — about Hamas recognizing a two-state solution. It appears that Hamas is still vacillating between explicitly and implicitly recognizing Israel. Hamas realizes that recognizing Israel would open up the world’s doors to the movement. At the same time, Hamas knows that such a move would be seen as a betrayal by the movement’s supporters, both inside and outside Palestine. As Hamas well knows, its legitimacy derives from its vocal support for armed struggle within the complicated Palestinian reality. Hamas also knows that it will pay a heavy price if it is seen to be agreeing to international conditions. The cost will not only be political, but also ideological. Hamas has spent many years talking and writing about its notion of the state, its identity, borders, concept, constitution and the role of Islam within it. Generations of Hamas members were raised on those ideas. But those ideas have remained part of the imagination and heritage, and of the nostalgic dream of restoring the Islamic caliphate. Today’s debate within Hamas over the concept of the state is more concrete than theoretical. The political conditions in the Palestinian territories do not allow for dreaming about unrealistic grand theories being promoted by some Islamist movements. Hamas is facing real-world problems that require real-world solutions. The Palestinian state being envisioned by Palestinian, Arab, and world politicians is based on the June 1967 borders. But does that fit Hamas’s political vision and intellectual orientation? Generations of Islamists have been raised on the concept of the “Islamic state,” which is synonymous with the Islamic caliphate. But Hamas’s situation is a little different. Israel’s occupation of all Palestinian territories is a political and concrete obstacle to the dream of an Islamic state and it forces the consideration of more realistic options. So we have started hearing, from Hamas, statements about establishing a Palestinian state on the June 1967 borders. There is no doubt that this development is an intellectual and political shift by Hamas. More than 20 years ago, Hamas founder Sheik Ahmed Yassin proposed a long truce with Israel. 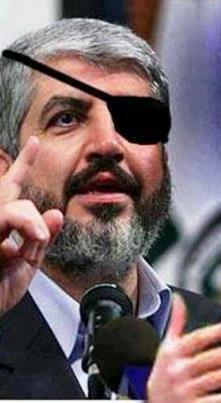 But today, such a proposal is more realistic and is attributed to Hamas’s current leader Khaled Meshaal. 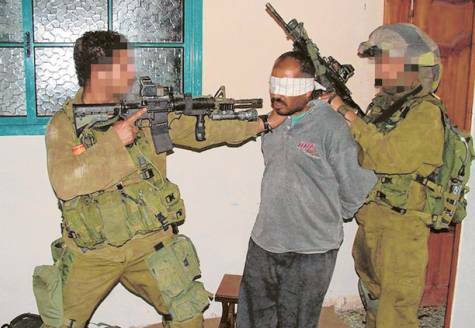 Hamas in 2013 is different than Hamas in 1993. Hamas is now an influential player and its statements and stances are taken into account by regional and international decision-making circles. 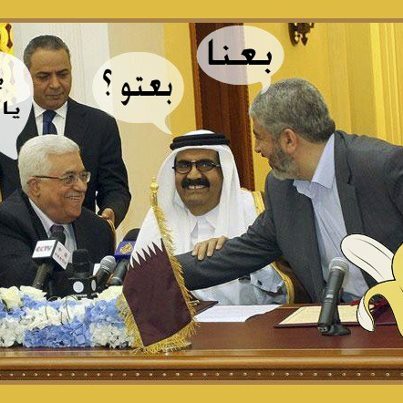 The shuttle diplomacy by Western officials between Gaza, where Hamas’s domestic leadership is located, and the Arab capitals of Doha, Cairo and Amman have only one objective: getting Hamas to agree to the conditions that would allow it to be embraced by the international community. In other words, they want Hamas to agree to the two-state solution. And that, explicitly or implicitly, essentially means that Hamas has recognized Israel’s right to exist! Those who have been following Hamas’s course since it was founded 25 years ago notice that every once in awhile there is international pressure to make Hamas agree to those conditions. But Hamas is afraid to fall into the same trap that others, like Fatah, have fallen into without getting anything in return except loss of popular support, as was demonstrated in the elections seven years ago. In light of the demands that the movement should recognize the two-state solution and make political commitments, some influential circles within the Hamas leadership think that the movement is being drawn into going beyond its rational political discourse and how it deals with the reality on the ground, and into recognizing Israel and exchanging messages with it. However, the siege has made the Palestinian territories miserable. So decision-makers in Hamas are forced to issue hints and signals that do not affect the movement’s general principles. Those signals, however, may be misunderstood. And this is where the problem lies. No one thinks that Hamas supporters will make a big deal of those signals, but any concrete steps toward recognizing Israel will cost Hamas dearly, something which I don’t think Hamas wants during this dangerous phase. At the external level, Hamas’s enemies and opponents may think that the siege has finally paid off, albeit a little late, and that Hamas’s current declarations are signals that, if the siege and the Palestinian suffering continue, the movement may explicitly recognize Israel, which would open the “appetite” of Hamas’ opponents for more breakthroughs in its ideology and principles. Not an existential conflict, but a border dispute. Although Hamas is aware of all that, it should be noted that in a few months it is facing elections during which the movement’s signals that it may accept a two-state solution will be used in a fierce anti-Hamas campaign. Even though the movement has provided a different administrative performance than before, the fundamental change in the movement’s political program may be a decisive factor for the Palestinian voters. As Hamas is being smothered, with a few breaches here and there, the demands that it should recognize Israel are ongoing and without letup. In other words, Hamas must choose between recognizing Israel to stay in power, or losing what it has achieved democratically as punishment for having to refused to bow to the world’s conditions. That pressure is accompanied with a financial and economic blockade, which is increasing the pressure on Hamas, especially since those carrying out the blockade are blocking anything that would alleviate Palestinian suffering. It is clear that they want to punish the Palestinians for electing Hamas and warn them against reelecting them; that is if the reconciliation succeeds and the elections happen on time. It should be noted that certain Israeli and Western research institutions have estimated the timeframe that Hamas will need to explicitly recognize Israel. They may accept from Hamas certain rhetorical signals for a while before the movement officially recognizes Israel. Since Hamas was founded in late 1987, it has been conducting an ideological and political campaign for its members and supporters against recognizing Israel. Hamas’ constitution says that Israel is a “cancer that must be eradicated,” and that “its demise is a Quranic inevitability.” Those and other slogans have been a key component of Hamas’s political discourse. It is therefore not easy for Hamas to change overnight due to political realism and suddenly tell its supporters: We shall recognize Israel, but it’s under duress!